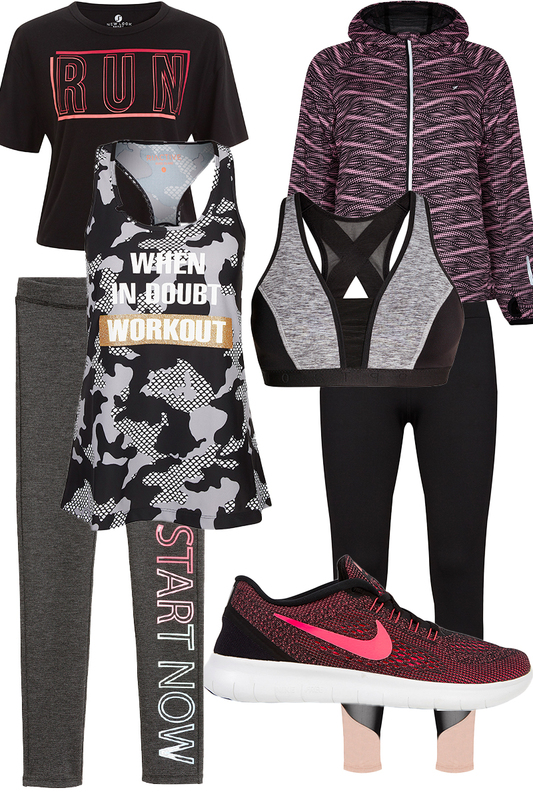 It’s hard to shop out of sales this month, but I’ve put together my top January High Street Fashion Finds (which I will be doing every mont by the way from now on) to help you scope out what’s hot to buy now and wear later. Some are more suitable to warmer weather but I’ve found it’s a good time to start building your Spring Summer wardrobe before sizes runs out and stock disappears. This happened me last season with the amazing New Look “Amour” Bomber jacket which vanished. RIP to that one, it will be missed greatly. If you loved last year’s Bardot style tops then I hope you held onto yours as they are going no where. River Island are leading the high street pack with their mix of print and plain tops, in a range of fabrics such as lace and cotton. If you are new to this trend then I recommend starting with this chic white River Island Bardot Top that will look stylish over some light wash jeans, worn with stilettos. All we’ll need is the sunshine. You can even add in a choker for effect. If print is more your thing, and you love the Boho vibe that will come along with Coachella, then this grey River Island Lace and Print Top will be more your style. I heart this one and I reckon is channels those Erdem vibes we see from him each summer season. He was the one who brought the Little House on the Prairie look remember? There is another t-shirt style I found in the form of this ASOS Ruffle Top which is another summer staple to add to your holiday closet. Last Autumn I had an obsession with maxi and midi dresses and that continues having seen this Ralph Lauren Denim & Supply Maxi Dress which is also on ASOS. Mr. Lauren knows how to make good casuals and his Denim & Supply range is really affordable, so you can get the designer look without the price tag. And for shoes, well when I spied these Red Snakeskin Buckle Boots also from River Island in the January issue of Vogue, I went and put them straight in my shopping basket. So January is looking bright huh? Oh and I’ve decided to bring back the 90s style mini bag as a trend (have you seen mine on Instagram?) 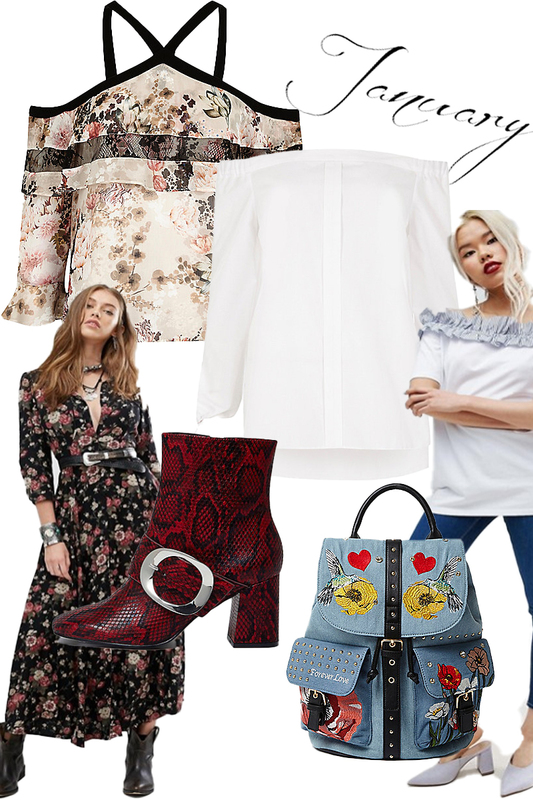 I hope you saved your Christmas money for these January High Street Fashion Finds, and if there are any particular pieces you would like to see on the blog this year just add a comment below!